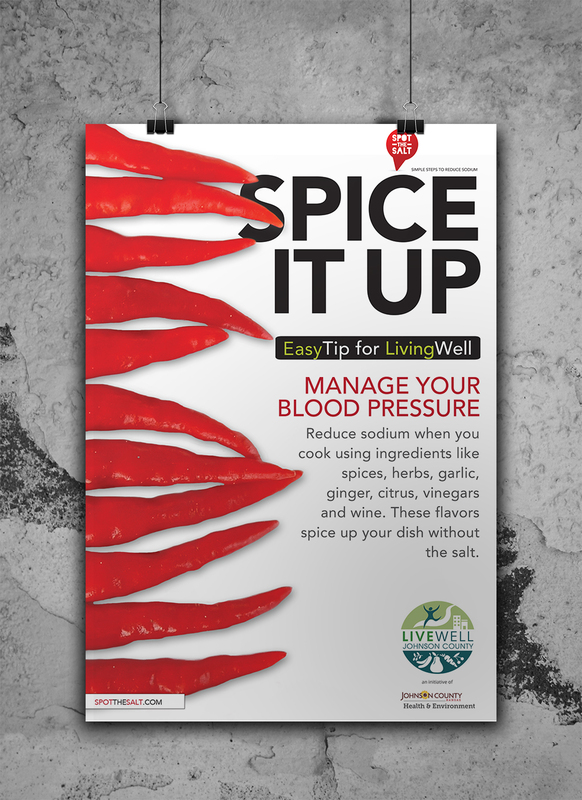 LiveWell Johnson County asked us to create a series of posters that mimicked the Spot the Salt campaign, which they planned to use in grocery stores to promote the health initiative. LiveWell Johnson County is an initiative of the Johnson County Department of Health and Environment. A grant from the Kansas Department of Health and Environment supports this and several projects like it across the state. The purpose is to implement population-level strategies to prevent obesity, diabetes, heart disease and stroke among Johnson County adults.